Take for example last year's feature on the While She Sleeps' 'Silence Speaks'. And who could forget that entrance and guest vocal spot on 'Bite My Tongue' by You Me At Six? Speaking of complete and utter ferocity, here's Oli's turn on Architects' spiky 'Even If You Win, You're Still A Rat'. And from the earlier days, here's raw, robust 'Dawn Of The New Age' by Admiral's Arms. All together now... "It's time to turn this around!" You'll recognise Oli's unmistakeable scream in the maelstrom of 'If You Don't Know, Now You Know' by Deez Nuts, too! 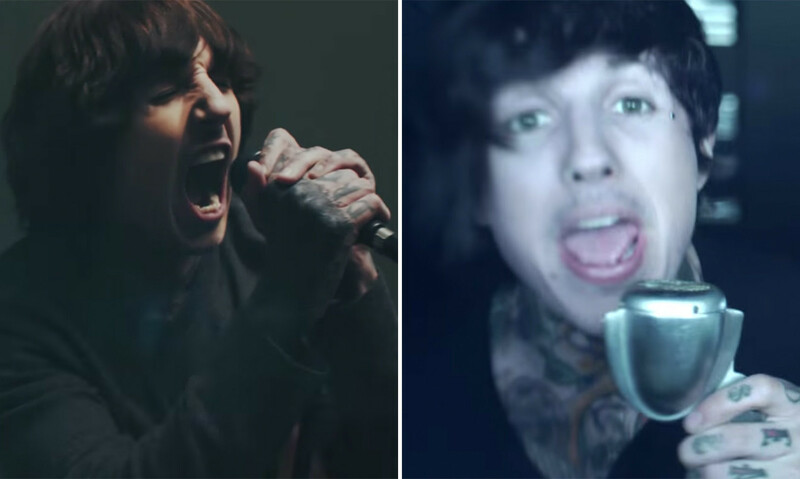 And while it's not quite guest vocal territory, Oli and the BMTH boys pop up in A Day To Remember's video for 'All I Want' alongside pretty much everyone else in the world.